To enrich the quality of life in the Shiawassee County region by building sustainable funds from a wide range of donors to fund emerging community needs. For Good. For Ever. The Shiawassee Community Foundation is a 501 (c) 3 independent public charity offering individuals and institutions a way to give back to their community. Donations made to the community foundation are accepted in any amount and may be used to either start a new fund or add to an existing fund. All donations are deductible as a charitable gift for Federal income tax purposes.  The community foundation is governed by a board of directors and is subject to the rules and regulations of the Internal Revenue Service and the State of Michigan. The community foundation is in compliance with the National Standards for U.S. Community Foundations.